I'm sharing a Christmas panel today that I'm going to put on an easel. It could easily be made into a card instead. 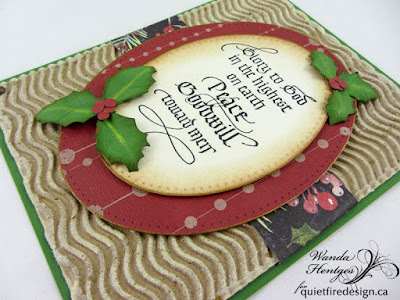 Stamp quote onto cream cardstock with black ink, die cut oval, ink edges with Vintage Photo, apply Distress Paint to very edge of oval. 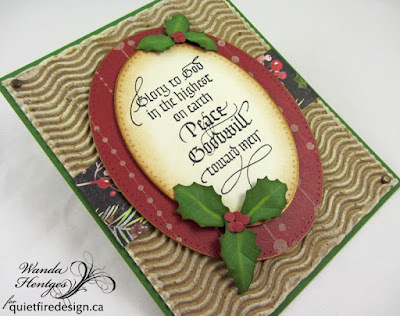 Die cut oval from Kraft-Stock paper, ink edges with Vintage Photo, apply Distress Paint to very edge of oval. Cut corrugated card to measure 5" x 6 1/4", lightly brush high spots with Vanilla paint, paint edges with Vanilla, dry, lightly brush ridges with Collage Medium and add Glitter, brush Collage Medium on edges and add Glitter, let dry, splatter panel with Tarnished Brass Paint. 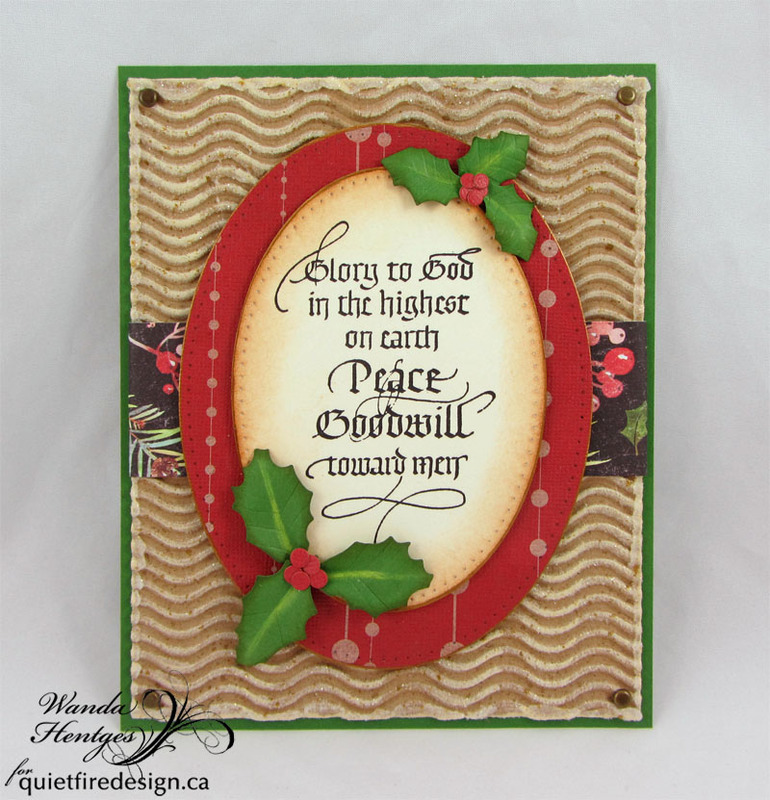 Wrap corrugated card with 1 1/2" strip of Christmas Paper Stash Paper and attach to green panel cut 5 1/4" x 6 1/2". Attach ovals with foam tape. 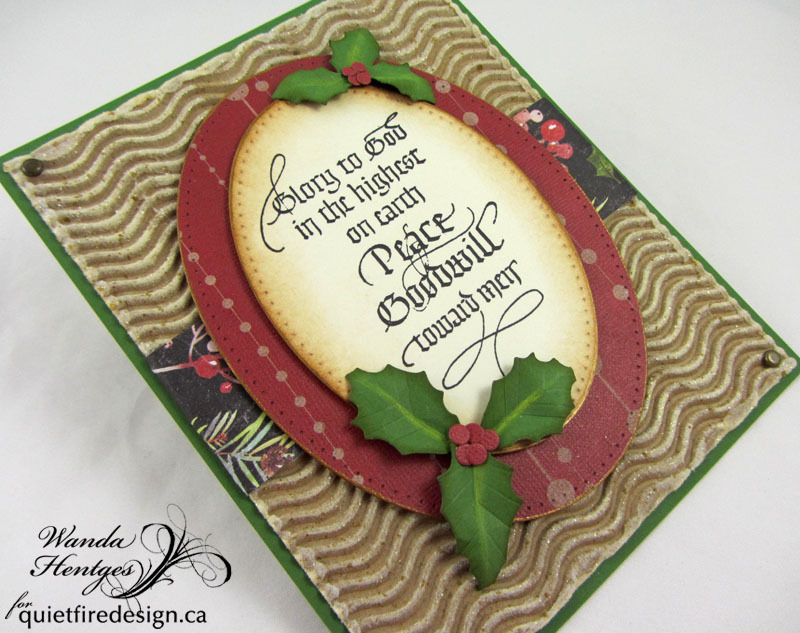 Die cut holly leaves from green paper. Add highlight in center with Pan Pastel and shading on edges with Peeled Paint Ink. Detail and shape with flower tools. Attach to panel as shown. Die cut berries from scrap of Kraft-Stock paper so the reds match and glue on as shown. Thanks for following along!! 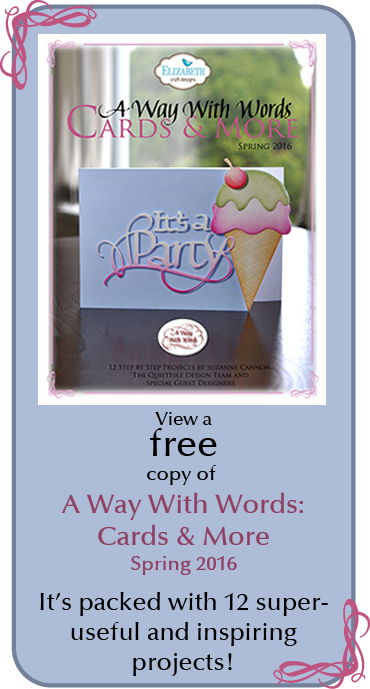 Have a wonderful holiday!!! !